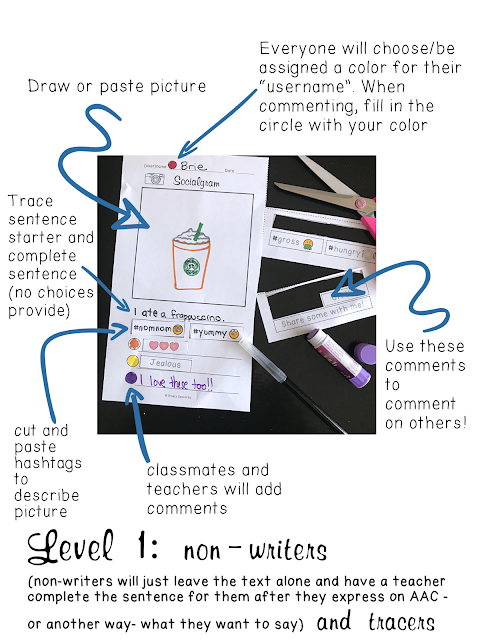 First, you need to assign colors to each student so that they can easily leave comments on each other's socialgrams. Display this somewhere so that you can reference. (Hint hint, a bulletin board so you can display their socialgrams as well!) Students will color in the circle before their name when they fill out their paper and they will also fill out the circle on their classmates papers when they comment! Each week, for example on Social Fridays, you choose a topic for your students. There are 22 different topics are included. Some topics are open ended so they can be used multiple times with different teacher prompts, such as "I like ___", "I love ___", "I ate ___" , "I feel___"). 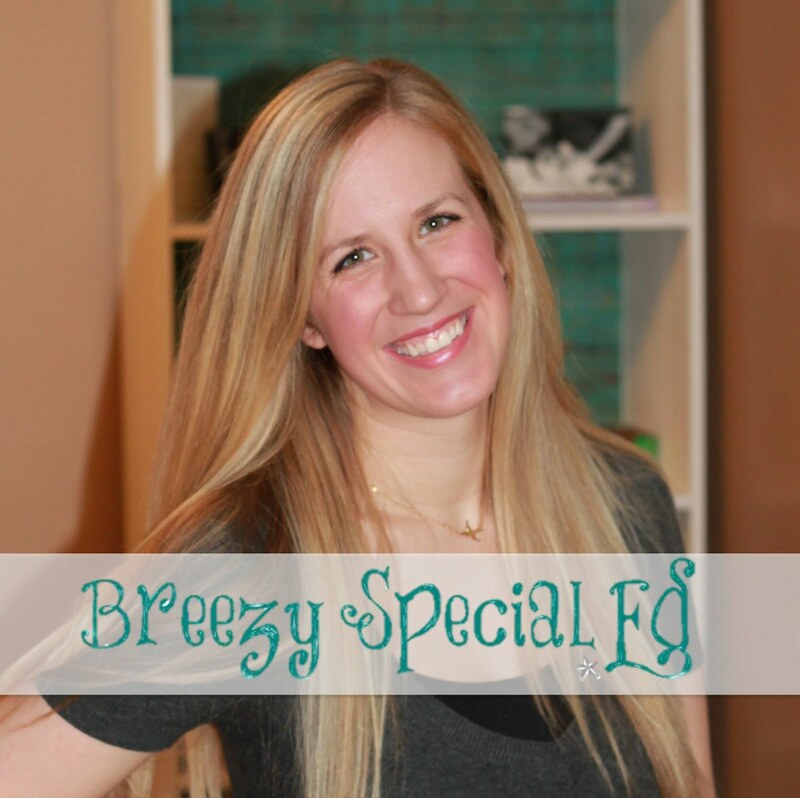 Other topics are specific to seasons, holidays, or for birthdays. For example, if you are discussing sea creatures in your class, you could have students fill out an "I like ___" social gram and ask them to share about a sea creature that they like. Students who need assistance, whether they are non-writers and tracers, will use level 1 templates as pictured below. Students can draw or cut out pictures from magazines or teacher-provided pictures for their social gram. Or maybe you could even take pictures (example: field trip) and print and have those ready for students to use! Teachers may need to write down their student's response for the sentence starter, after they answer using an AAC device, verbally, or another communication method. 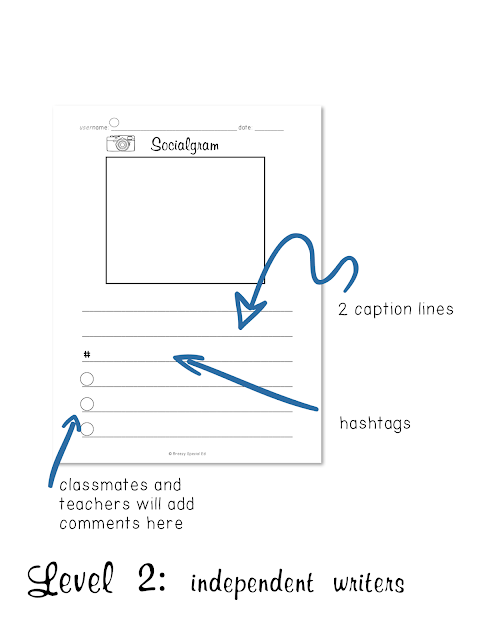 After drawing and captioning, students can cut and paste two hashtags of their choice into their journal. If they are also to trace, they can trace over the gray lines as well. Level 2 templates are pretty straight forward, students will just fill out (drawing and writing) all of the above without any extra supports. There is even a level 3 if you have students who can access the internet, they can share their photos/captions and comment on each other's using Google Drive. Have students use a device or display an emoji keyboard on the screen for students to choose their own emojis to go with their socialgram. So, how fun does that sound? 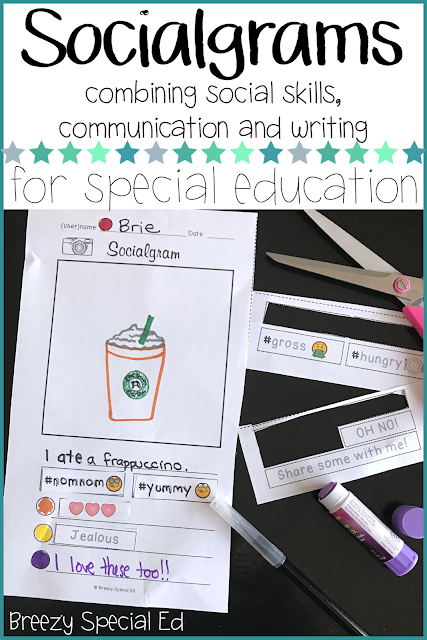 Are you ready to give Social Fridays a try in your classroom?! Grab the templates HERE!